Before Pia Wurtzbach became Miss Universe 2015 and Pauleen Luna, a mainstay host on Eat Bulaga, the BFFs started as part of ABS-CBN's Star Cirlce Batch 11 which was launched in the early '00s. 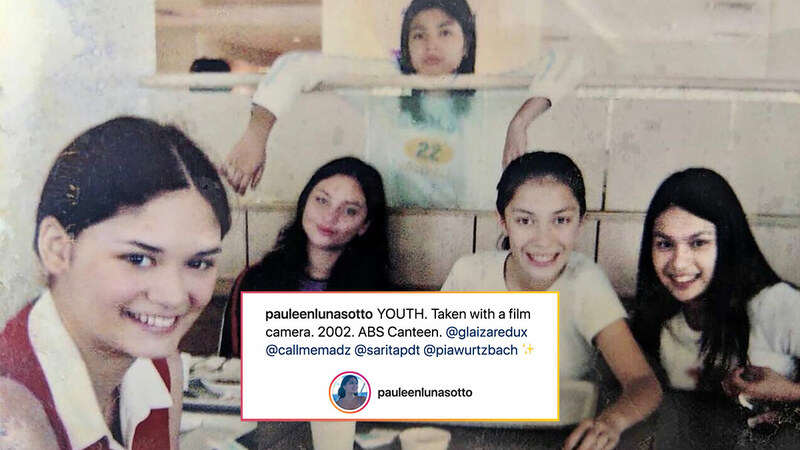 Pauleen recently paid tribute to her tween artista days by sharing a throwback photo of her with some of her closest batchmates. "Taken with a film camera," Pauleen captioned the photo taken in 2002 at the ABS-CBN canteen. She and Pia were with Glaiza De Castro, Sarita Perez de Tagle, and Carla Humphries. With most of them still active in the showbiz scene, the girls bump into each other from time to time. In 2015, Pia posted a Batch 11 reunion pic of her with Glaiza and Pauleen. Talk about that glow up!